When Ayelet P., 22, joined TAU’s Mentoring for Young Women Program two years ago, she hoped that it was a step that could transform her life. A victim of severe physical and emotional abuse by her father since age three, Ayelet blamed herself for the beatings, believing she was at fault. “I had two voices in my head. One was telling me that I was guilty, but the other was telling me that I was still worth something – that I could make something out of my life,” says Ayelet. “Even when I was at my lowest point, I believed in my abilities,” she says. At school, she studied hard, wanting to prove to the teachers that she could succeed. She graduated from high school with good grades and at age 18 enlisted in National Service as an alternative to serving in the Israel Defense Forces (IDF). “At that time my mother, who I was close to, had a nervous breakdown. She fell apart and then I had a crisis myself. I felt totally alone with no one to turn to,” says Ayelet. A social worker recommended that she apply to the TAU Mentoring Program. “I was accepted and it was all uphill from there,” says Ayelet, who went on to become a mentor herself to other participants in the program and is now enrolled in university studies. The Mentoring Program, which is run by TAU’s Bob Shapell School of Social Work, has already transformed the lives of over 1,200 young women from distressed backgrounds. The Program trains young women who are in the advanced stages of rehabilitation to serve as mentors for other young women in similar situations. Each year between 100 to 120 young women, ages 17-25, participate in a year-long training program on the TAU campus, combining theoretical studies, personal development, empowerment and hands-on experience. Midway through the program they begin a four-month internship as mentors for young women at risk. The women represent Israeli diversity – Jews and Arabs, secular and religious, Ethiopian and Russian immigrants. Among them are girls who have been beaten by their parents or sexually abused, experienced psychiatric problems, dropped out of or been expelled from school, been thrown out of their home, arrested for delinquency or served prison time. Approximately 50% of program graduates have been integrated into social fields, including working as kindergarten assistants and as mentors and counselors with underprivileged children and youth, the mentally disabled and people with special needs. Many went on to pursue professional careers in these fields, usually returning to their studies and acquiring an academic degree. To date 150 have pursued higher education, of whom 20 have already completed their undergraduate degrees. The main fields of study are social work, behavioral sciences, criminology and education. About a third of the graduates served in the IDF or as volunteers in National Service. The Program was established by Prof. Miriam Golan of the Shapell School based on her research, as well as on her rich experience in training social workers and working with young women at risk. Golan recognized the capacity of such young women both to help others in similar situations and to gain therapeutic value from the experience. The Mentoring Program encompasses three additional levels of activity. The first is a special national service framework for young women who are not accepted into the IDF due to their personal history. The second is an alumni unit that provides an ongoing “safety net” for graduates of the Program by offering them continued support and guidance on issues relating to employment and education. Finally, the program is establishing local mentor communities for its graduates in Tel Aviv, Nazareth and Netanya, providing them with a framework to belong to and continue working together at the community level. 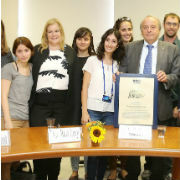 Last year, the Program was “adopted” and nurtured by the Israeli Friends of Tel Aviv University. For Friends members, supporting the Program means making a true difference in people’s lives. 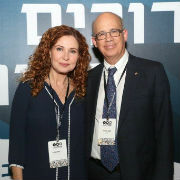 To date, the association has raised nearly half a million dollars for the Program from Israeli donors with matching funding coming from the University and the government. 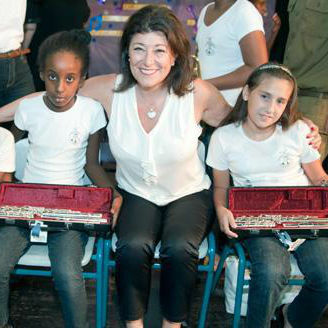 “The program expresses Tel Aviv University’s commitment to bettering society at large,” says Adi Olmert, Executive Director of the Israeli Friends,“ adding that the support goes beyond the financial to include hosting events where the girls can relate their stories, and providing one-on-one advice and help that can further their careers. “The Program goes beyond the gates of the University – it’s become an extensive network, a community,” concludes Olmert.